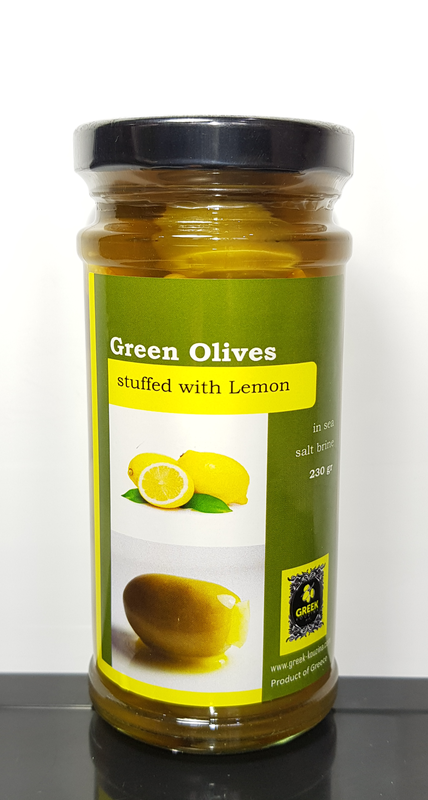 Olives – Green Halkidiki Olives stuffed with Lemon. A bitter and sour combination ! Note: All Olives sold by Greek kouzina are soaked in brine. 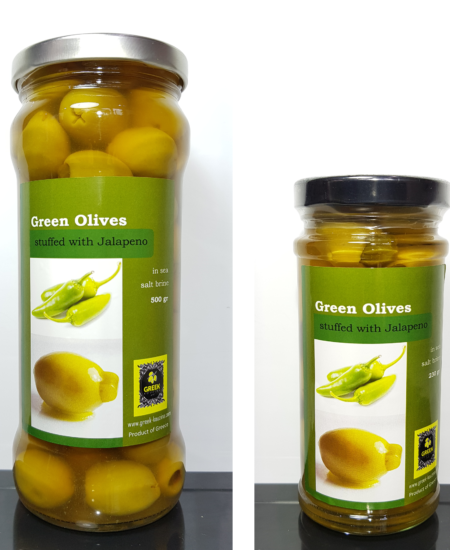 Halkidiki Green Olives are large pale green Greek olives in oval shape and commonly harvested from the Macedonia region of North Greece while they are just ripped. Usually processed through brine ( salty water ) curing which has a firmer meat texture that can provide a full soft flavor with a little tartness and a bit peppery in taste. 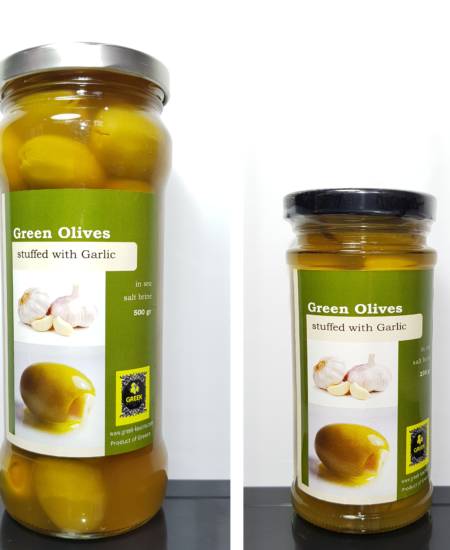 The Halkidiki Olives grows exclusively in Greece, in the Halkidiki peninsula. Halkidiki Olives got its name from the place where they are naturally found ( as a native variety ) in an area in Greece regarded as Central Macedonia region which when translated means Halkidiki. 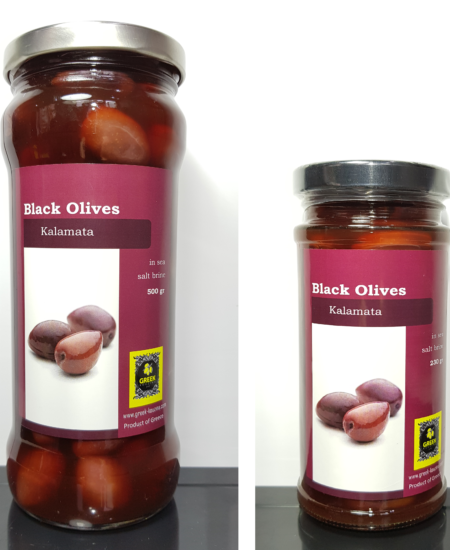 Halkidiki Olives are excellent table olives with high quality and large enough to stuff with other food ingredients such as Almond, Lemon, Orange, Jalapeno, Garlic and others and served as a hors d’oeuvre or appetizer snack food. 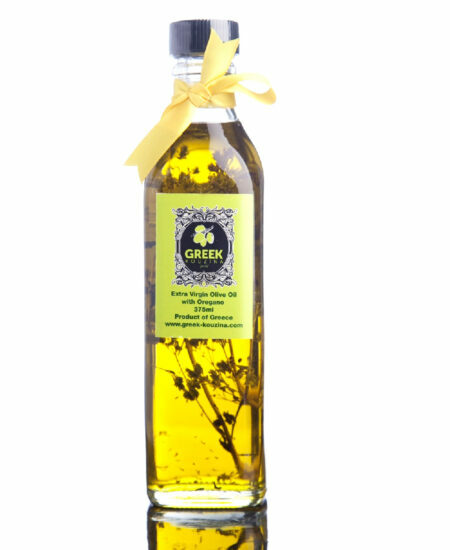 With its unique climate condition and soil characteristics of Halkidiki – North Greece, make this olive developed a full, spicy and slightly bitter taste with a hint of fruity aroma without any hint of oiliness. 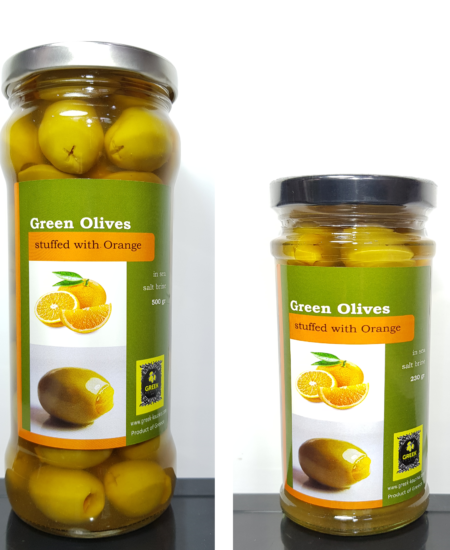 These Greek olives are fleshy (meaty) and are considered as the superior type among other table olives. The Halkidiki olives are harvested from mid -September to the end of October yearly. 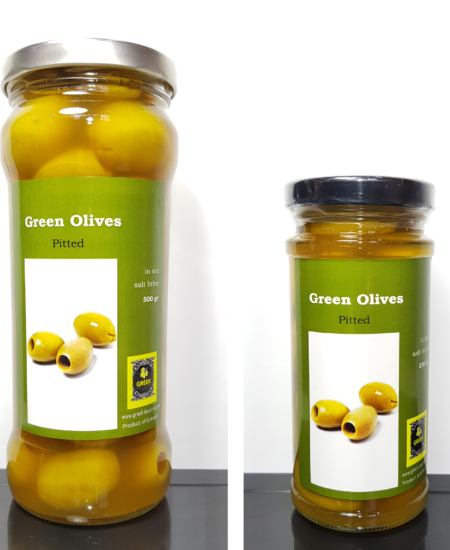 The Halkidiki Olive is a superb olive variety with many health benefits . 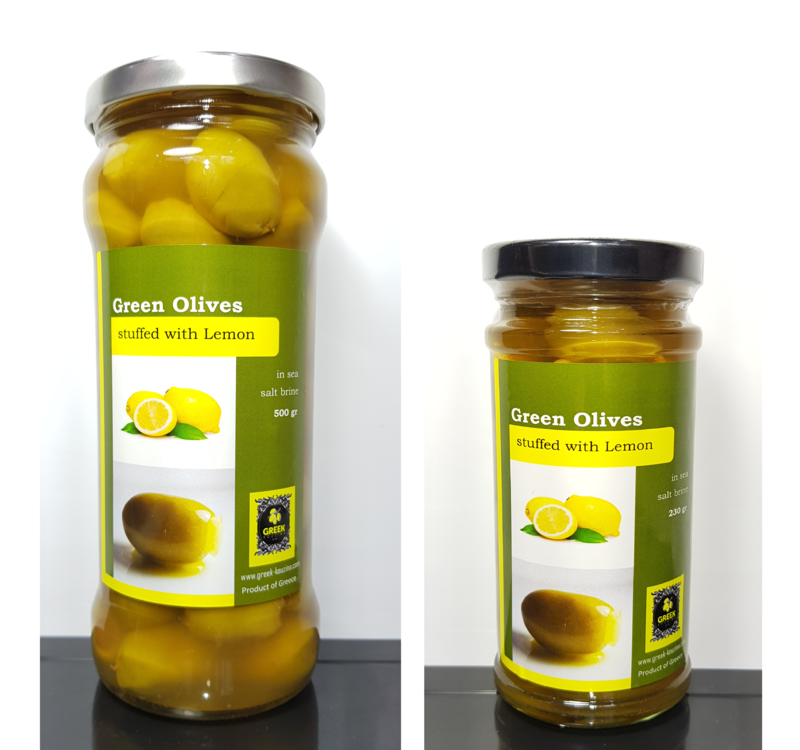 Regardless of its high fat content, these olives packed a good nutritional value and a good source of Omega fatty acids, Vitamin E, Iron, Dietary fibers, Copper, Monounsaturated fats, Polyphenols and Flavonoids. If you are suffering from hypertension, this olive can help normalize blood pressure while increasing the good cholesterol. It is also very good for the heart. An effective source of antioxidant, as it contains Vitamin E to protect our skin from premature ageing. 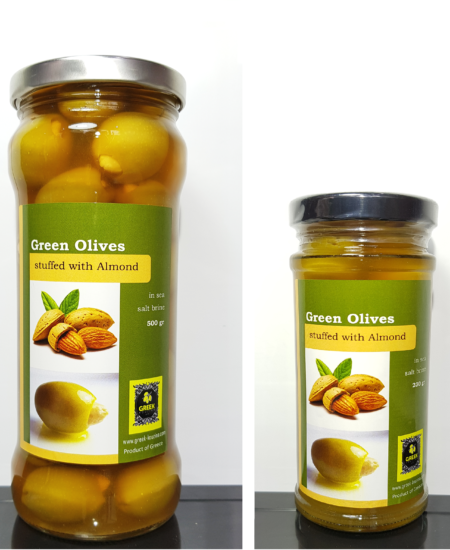 So, it is best to include the olives in our usual diet to reap its wonderful health benefits that could keep us healthy and strong. All Olives sold by Greek kouzina are in a brine ( salty water ) solution.